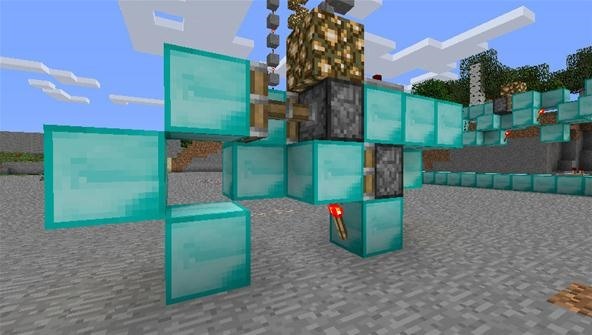 Redstone and electricity have much in common. They both have what's called resistance. That is, they only travel a certain distance before the signal degrades to the point where it's unusable, and they take a certain amount of time to get there. With electricity, that time is nearly instantaneous because electricity is extremely fast. Redstone, on the other hand, is pretty slow. 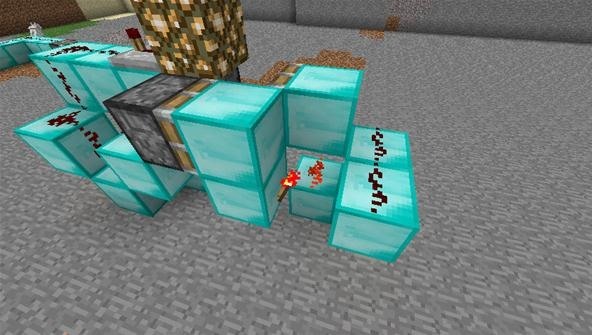 When you start involving repeaters and redstone torches, that speed slows down to what can seem like a crawl. Well, no more! 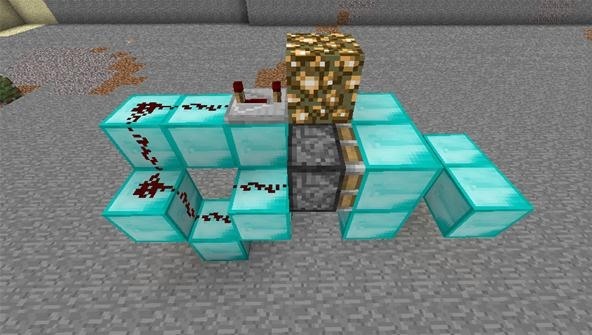 With this design (showcased as a video on our corkboard by Nicholas), you can stack these end-to-end indefinitely for a practically instantaneous transmission of redstone power. Now let's see how to build one! Start with three blocks in a V-shape. 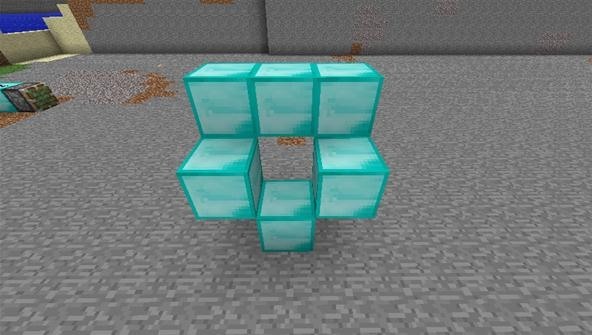 I've used diamond for this build because I'm swanky like that, but you can use any blocks you like. 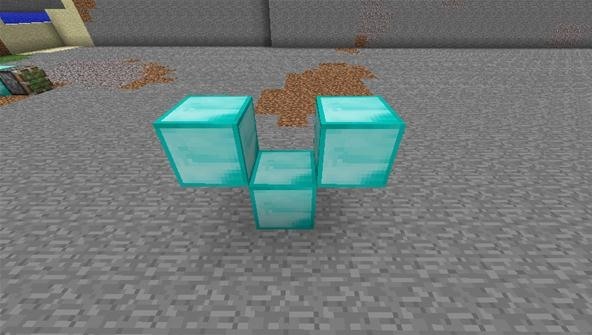 Above and behind your V, add a line of blocks. This is a somewhat confusing, complicated build, so bear with me! 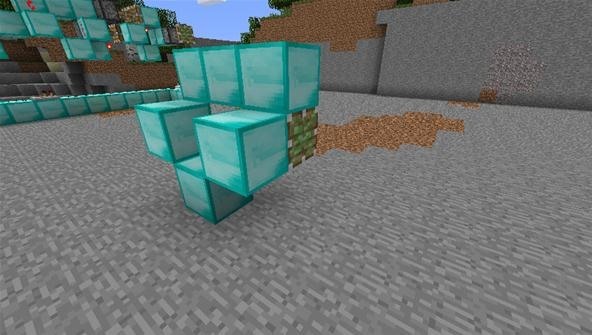 Add a sticky piston in the corner on the right side. It's hard to describe, so just look at the picture. 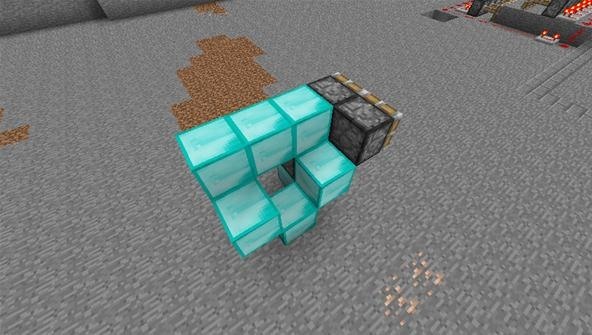 Put a block directly underneath the piston. 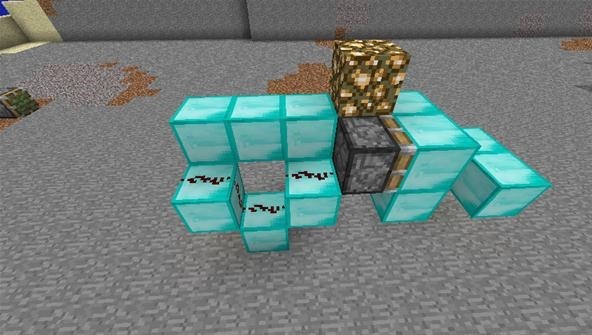 Your build should only be two blocks wide, so make sure you don't add your pistons off to the side. 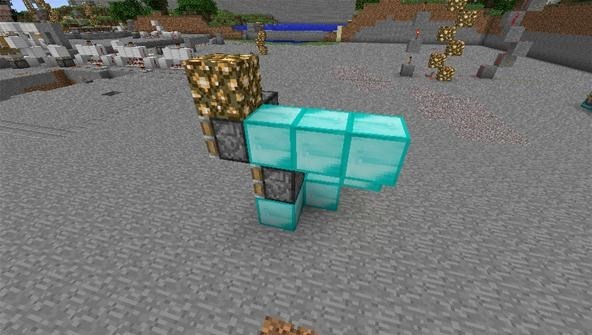 Put a glowstone block directly above the back piston. Looking dead-on at the pistons, add a block in front of each of them, and then one underneath the left block. 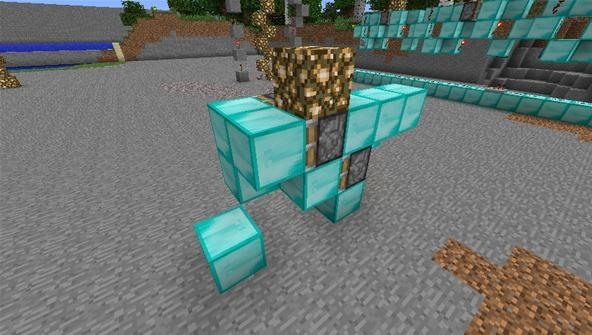 Now put another block directly in front of the bottom piston. This block is lonely. It sits by itself. 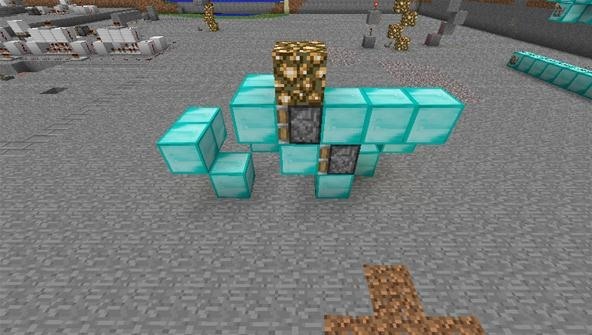 Add some blocks above and in front of the lonely block. They aren't really his friends... They look down on him. Step 11 No more blocks! 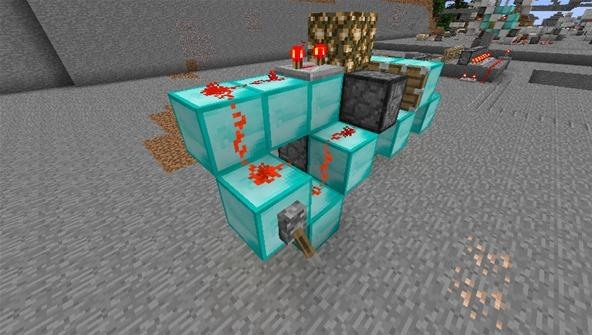 Time for redstone! Run some wire across the V you started with. Step 12 Do I need to repeat myself? 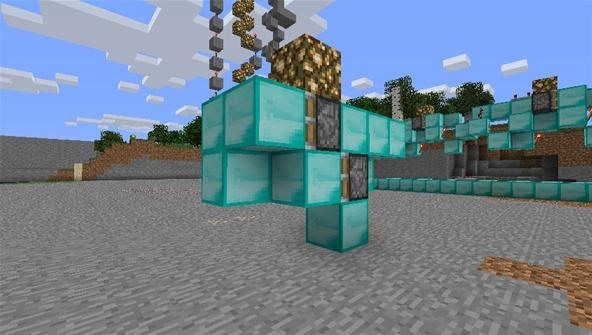 Now run wire across the back, and put a repeater (on the last delay setting) pointing at the glowstone block. 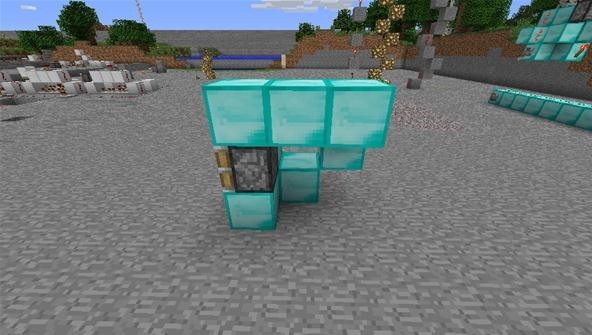 Attached a redstone torch to the block underneath the bottom piston. 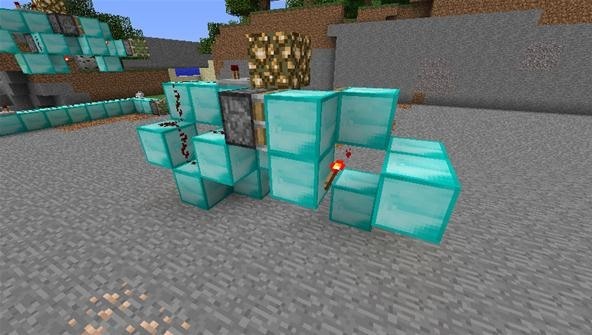 Now attach a redstone torch to the block below and in front of the left piston, if you're looking at this device head-on. 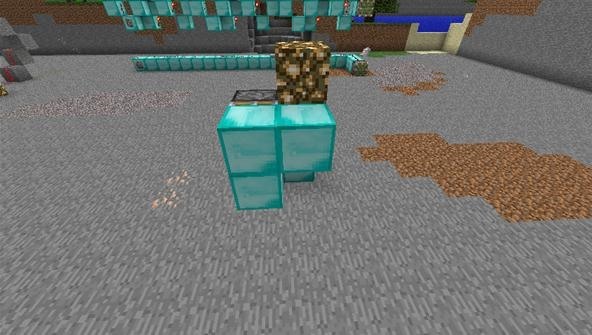 Now add redstone to the Lonely Block (TM) and his two friends who look down on him. This bit of wire is your output, and you can connect other things to here. Step 16 Add a switch! Now add a switch anywhere on your starting V, and you're good to go! Voilà, instant power! Now go make redstone devices... and be quick about it!